Machengete argued that he did not act unlawfully in any way, adding that the facts as alleged by the State, did not disclose how the offence was committed. When he initially appeared in court, Machengete was charged with criminal abuse of office or alternatively "inducing a procuring entity to engage in procurement by a method that is prohibited by the Act of public procurement and disposal of public asset regulations". "On the face of it, the charge as read with the State outline is completely devoid of any details, particulars, facts or information as to how the accused allegedly induced or intended to induce Potraz as a procuring entity to engage in a procurement by a method that is prohibited by the Act. "Facts alleging inducement are critical. "The word induce refers to at least some elements of coercion, force, improper or immoral persuasion. "In the absence of anything in the charge and or outline of the State case particularising exactly how the accused allegedly induced or intended to induce Potraz to adopt the alleged prohibited procurement method, the charge is vague and embarrassing. "It does not constitute a cognisable and certain offence to which the accused person can be asked to answer. "It is not legally tenable for an accused to plead to a charge in which there is no averment as to how he allegedly committed the offence. "Section 178 of the Criminal Procedure and Evidence Act specifically provides that a charge can be quashed, where it is calculated to embarrass an accused person in the conduct of his defence," reads part of the application. Machengete yesterday appeared before magistrate Mr Hoseah Mujaya and the matter was remanded to March 25 for trial. The prosecution is expected to respond to the application on that date. 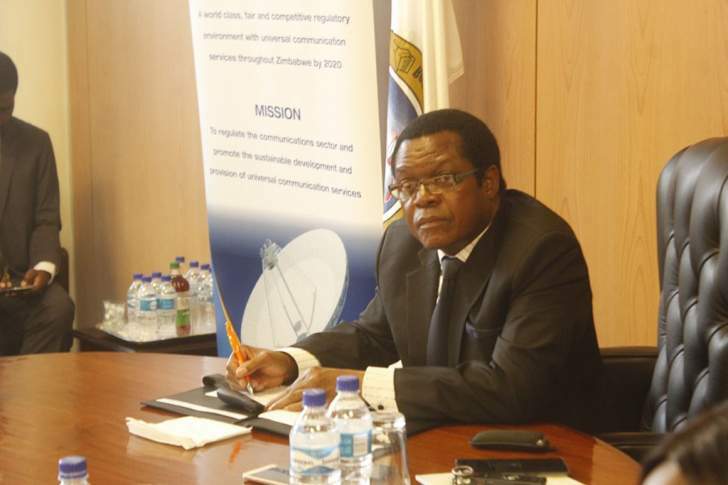 It is the State's case that Machengete caused Potraz to purchase 24 containerised village information centres from Smart Building Solutions Ltd for $1 494 104,33 by way of quotations instead of the competitive bidding method as required by the Act.